Congress, which is betting big on the prized state of Uttar Pradesh for its revival and turnaround in electoral fortunes, is preparing a manifesto exclusively for the state. The ‘mini-manifesto’ would address various burning socio-economic issues in UP, which accounts for 80 Lok Sabha seats and is key to the formation of any government at the Centre. 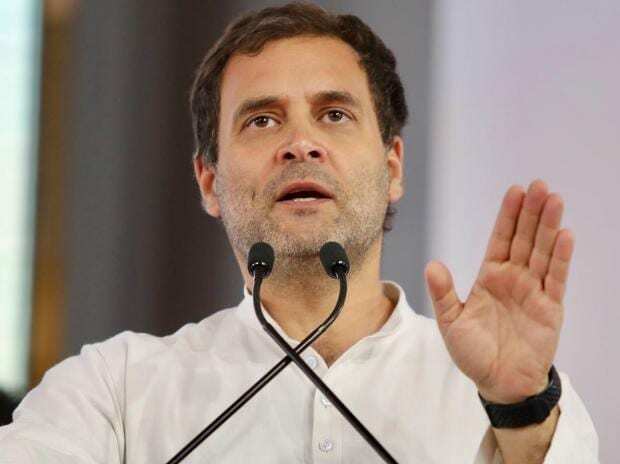 Congress had released its manifesto for Lok Sabha elections 2019 in New Delhi on April 3 in the presence of party president Rahul Gandhi, United Progressive Alliance (UPA) chairperson Sonia Gandhi and former prime minister Manmohan Singh. The manifesto did not include promises made by its senior leaders, including Congress’ Eastern UP election-in-charge Priyanka Gandhi Vadra, to the representatives of different groups during their meeting, wherein they are assured the party would incorporate their grievances in its pre-election document. Such issues were related to government jobs in different departments, including police, education and social welfare, apart from defunct sugar mills, sugarcane arrears etc. However, the Congress manifesto merely mentioned that the party would make every possible effort to sort out such matters by talking to the state government. This had led to the disenchantment among the grievant parties, who had pinned high hopes on the party for the resolution of their long pending demands, despite the fact that some of these cases were also sub judice. Congress, which is locked in a fierce triangular contest in UP with ruling Bharatiya Janata Party and the formidable pre-poll alliance between Samajwadi Party (SP), Bahujan Samaj Party (BSP) and Rashtriya Lok Dal (RLD), feared a backlash from these groups across rural and urban constituencies and the consequent poll reverses. “We are preparing a mini-manifesto exclusively for UP, which would be announced within a day or two,” a senior state Congress leader told Business Standard on condition of anonymity. He claimed that the state-focussed exclusive manifesto would be released only for UP and that it also reaffirmed Congress’ commitment towards the state. Earlier, BSP supremo Mayawati had already labelled the manifesto as an ‘illusion’ saying it carried zero credibility. In her Tweet, she also observed that Congress and BJP were akin when it came to the non-fulfilment of promises. Congress has been in the political wilderness for almost three decades in UP following the advent of caste-based politics in the late 80s and early 90s that saw the emergence of SP and BSP on the firmament, while the grand old party slid over successive parliamentary and assembly elections. In the 2017 UP polls, the party could win only 7 seats of the total 105 seats it had fought under an alliance with the SP. Congress had won only 2 seats in the 2014 Lok Sabha elections in UP.